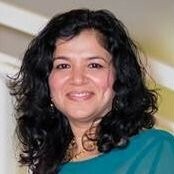 We had a great opportunity October 4, 2018 to ask Nidhi Jain, Director of GTM Strategic Partnerships at Box (LinkedIn) anything in our Slack community. Want to schedule 1:1 time with Nidhi? Ask for an introduction to Nidhi through our Advisors program. How has a background in VC shaped your partnership roles? @Nidhi Jain Tell us about your journey that led you to box, how'd you get into partnerships from the Investment banking world? @Nidhi Jain How has your background in VC shaped your view of partnership ecosystems? Thank you! I'd imagine you're also comfortable with a certain amount of risk, and that comes in handy. How do you prioritize partnerships? @Nidhi Jain How do you prioritize what partnerships to focus on? Box must have a lot of partner action. That’s interesting.. how do you value brand partnerships? how do you value ARR partnerships? how do you pick between a brand vs. revenue partnerships if you had to choose? But focusing on comarketing to get more revenue was a second hustle. haha that's how we are @Sunir Shah and also we wanna make sure we "have a seat at the table"
@Nidhi Jain can you expand or share your prioritization framework? what is the process and data you use to validate/prioritize the partnership opportunities that come your way? Hi Nidhi, So I am the founder of a company called timehero.com, we are an AI scheduling tool that automatically plans tasks for you and your team around meetings. (changing when your day changes) So ideally I want partners who want to add scheduling to their tools for their customers. What tools do you use to manage partnerships? @Nidhi Jain What tools do you use to successfully manage your partnerships? So you don't use a Partner Management Tool of some time? what do you use for referrals and resellers? all salesforce? affiliate links too? How do you measure ROI on a partnership? @Nidhi Jain was curious around whether you had an ROI framework that you'd recommend when evaluating partnerships on the table (eg. how you to allocate internal/financial resources). At Box we have the philosphy to build API's that partners can then build on.. so we generally try to get the partner to build on our open API's. Thanks @Nidhi Jain - we are looking to do the same here. great @Mark Cohen what's the name of your company? @Nidhi Jain TradeGecko - inventory/order management - targeting the SME space (before you're ready for Netsuite). @Nidhi Jain What mousetraps do you use to attribute partner revenue? I think Gabe is asking how (mechanically speaking) do you track and measure revenue from partnerships? It’s a bit of a thorny problem because partners often generate revenue indirectly… either through changes in adoption/retention or because customers don’t necessarily click on links and buttons even if they heard about Box from partners. Yeah, the usual, eh? If only I was working on a permanent solution for this problem with AppBind.com; if only. aye, you need a real PRM for lead registration though. How do you attract developers to build on your API? How do you attract developers to contribute to your marketplace if you’re not a name brand? Is it better for a partnership to bring a new customer or serve an existing one? @Nidhi Jain when you think about technical integration partnerships (maybe you don’t have any other kind) do you more… 1. Work from the assumption that you already have a Box user, and the partnership will benefit the partner by bringing them new users, and benefit Box by increasing retention, or 2. Work from the assumption that the partner already has the user, and the partnership will benefit Box by bringing you a new user, and benefit the partner by increasing retention? is there one kind or the other that you strongly prefer? @Nidhi Jain Thank you so much. This was really incredible. Thank you sooooo very much @Nidhi Jain! This has been awesome!!!! Thanks everyone for your questions !! Please feel free to ping me separately (contact Nidhi here), if I can help clarify anything i said here or in general you think I could be a good sounding board to whatever you are doing or going through.. Thanks ! !